Sliding doors are the perfect choice for nature lovers and those who love communing with nature every day. Huge, glazed wing surfaces (up to 6 meters wide) make it reach the maximum available daylight. 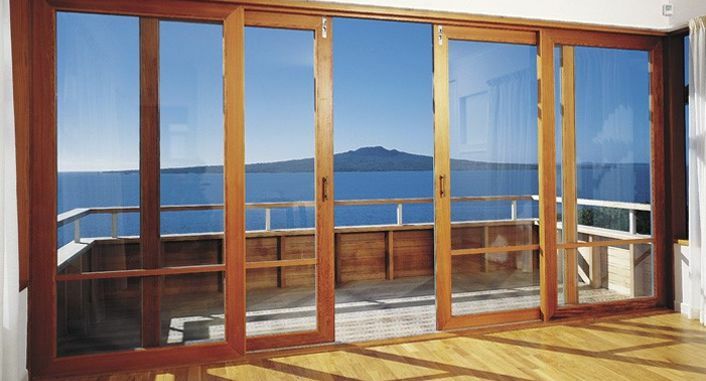 An additional advantage of the sliding doors is a high-quality seal that effectively protects against bad weather conditions such as rainfall, noise and wind. The advantage of this type of door is the low threshold which makes it comfortable to move around the house. Sliding doors are very easy to use. The tree is an excellent product for the production of such doors. The tree gives a natural ecological climate and regulates moisture. Sliding doors open to the outside, used as an exit to the terrace or garden, but also as an attractive and practical division of the house. The main applications are in places where we cannot afford to close the space with a fixed element. An undoubted advantage of this type of door is the possibility of opening the whole passage space.